A physics teacher from Sutton has won a £5,000 prize for his school by promoting engineering and sending a quarter of his students into engineering degrees and courses. Jamie Costello, head of science at Sutton Grammar School, has won a prize organised by the ERA Foundation (ERAF) for his “exemplar performance” in promoting engineering to school students, including running voluntary projects like designing and making an ocean drifter device and founding Sutton’s branch of the Big Bang Fair, an education outreach event. 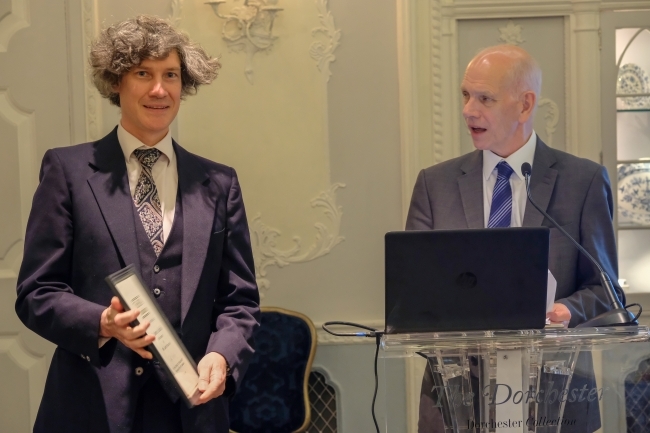 He was awarded top honours in the ERAF’s David Clark Prize on Wednesday at the foundation’s 15th annual lunch on 9th May, winning in a very tough field that was reduced to a shortlist of three for the first time, making Mr Costello the winner of winners. Remarkably, in September 2017, 25 per cent of Costello’s students at the “outstanding” Ofsted ranked school went on to study engineering-related courses. The Big Bang Fair franchise he started recorded 1,000 visitors last year and expects the same number in July. Costello was nominated for the prize by the Smallpeice (sic) Trust for his work for The Arkwright Foundation, which included submitting a 500-word piece on his outreach activities. Runners up to the 2018 Clark Prize were Tracey O’Connor of Bishop Challoner Catholic College, Birmingham and Neil Hammersley from The Kingsway School, Cheadle. The ERA foundation has promoted engineering and “productive industry” in the UK, with an emphasis on excellence in electro technologies, for 15 years since the former Electronic Research Association was sold to engineering group Cobham in 2003. It also supports projects to stimulate young people into engineering careers. 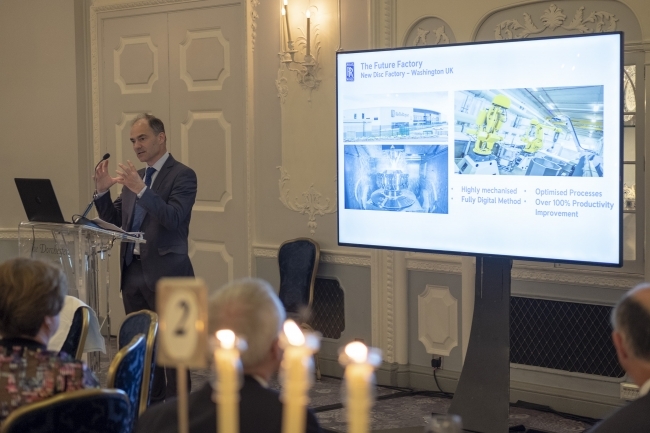 Keynote speaker at the lunch Warren East, CEO of Rolls-Royce, spoke about the challenges facing complex manufacturing operations and the opportunities provided by digital transformation. New technologies like photonics, additive manufacturing, contactless measurement and embedded sensors were changing manufacturing, in search of previously unachievable productivity levels. Mr East said that digital factories with a lot of autonomous systems were an important in the future of manufacturing, but the concept of “lights out” factories had been around since the 1980s. The smart technologies were not the only solution and people would still be needed to design and build the systems, and provide services around the products. He added that despite manufacturing being just 10 per cent of UK GDP it was very important for Britain to retain big, high value manufacturing companies for the long term, because their barriers to entry made them more reliable employers and value creators than many digital and software companies that changed ownership and location easily.